Built for productivity, Morningstar® Advisor Workstationsupports advisors with the latest Morningstar investment data, tools, and reports to serve existing clients and generate new business. Seamless integration with popular advisor systems automatically brings in current client and account data for the clearest view of your book of business. Work for Morningstar Advisor Workstation? "MorningStar - Review from a Sales Assistant "
Options for running various reports. Customer service , representatives are well trained and you connect directly to the support team. Dealing with software companies and not having to go through robots is a HUGE advantage. Morningstar has an abundance of information right in one place that you can use to research funds and stocks, that I am able to prove to FAs. 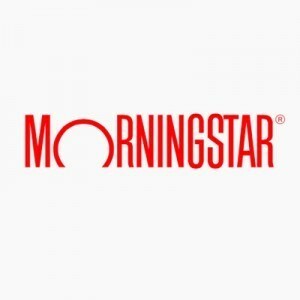 Im new to the business and using Morningstar helps me self learn and research stock market ; equity, mutual fund, and ETF research, IRA, 401(k) and 529 plan research. This platform can be as complex or simple as you want. From simply researching individual stocks and funds for ratings and performance to creating complex research lists, the functionality of this program compliments a broad array of experience. The ability to create your own filters to narrow down investments that fit your requirements is extremely helpful in a world of numerous options. The ability for the program to show point-in-time returns is limited if not non-existent. Adding the capability to break down returns for an input date range would be very beneficial. The program also lacks the ability to track the returns of a given portfolio if you want to change it throughout the year. For example, if you update the allocations for a portfolio, it then shows you historical returns for the new allocations disregarding any previous allocations the portfolio had. If you could tell the program to keep one set of allocations for the first quarter and start tracking new allocations for the second on a go-forward basis this would be more representative of what happens in real life portfolios. Don't be afraid to contact their customer service representatives. Every time I have had an issue or suggestion, they have been very quick to fix the problem or add me to an alert list when the situation has been resolved. Workstation allows our group to do in depth research while also providing reports our clients can easily understand. It has the functionality to connect to our client's personal portfolios so we can generate historical and pro-forma analyses. What Investment Portfolio Management solution do you use? "Easy to Use, Excellent support, integration with our custodians"
I really appreciate that I can call as often as needed if there's a reconciliation or import issue and even if the solution is super easy, they never make me feel like silly about the question. Their support staff are very knowledgeable and patient. I don't like that things aren't very intuitive. If we want to run a report with some different features or options, we always have to call for help. While their staff are always friendly and helpful, it would be nice to be able to figure out how to do simple changes or modifications on our own. Financial advising, planning, management. We have multiple custodians and import all of the positions and transactions data into one place for our clients. "Useful Feautures but Hard to Use"
Giving my clients monthly reports is very useful. They are able to see a consolidated report of all their linked accounts in one place every month, with the latest portfolio balance. Can be hard to understand how to import information. Saving/reusing models would be a wonderful feature if I could ever understand how to navigate it. Reccomend if you have plenty of time to learn/practice with the software. Communicating with our clients and giving them a better understanding of their portfolios. cumbersome to use and especially to customize. No preferreds! Make sure the securities you are interested in are covered. Due Diligence. Provides a basis upon which to document recommendations. "easy to use platform for advisors"
i dislike that there are more qualititative aspects of funds/ ETFs that i would like to review, morningstar does a great job comparing quantitative but lacks some of the more in depth qualitative. add more qualitative screens and information, the quantitative data is there but can be massaged more to show trends etc. it allows us to spend less time researching the funds, because we can spend hours diving deep into what a fund does, management style etc. Fund category assignment and benchmarking at times do not align with the intention of the fund manager. Would be nice to be able to open dual screens to use hypotheticals and screening tools at the same time. Fund selection and monitoring for our wealth management clients. Running hypothetical portfolios. The ability to filter mutual funds and find the best ranked and compare funds. Not being able to search for a fund with in a research list, it just takes you back to the mutual fund universe. Using Morningstar AWS to compare funds, helping to prove I am doing what is in the client’s best interest. The report output is very customizable, attractive, and easy to use as a learning tool with clients. It's a rather outdated UI - it's hard to find anything and the differences between various options is not clear. We considered upgrading to the full Morningstar Office, but while it was a nice upgraded UI, it just did more than we needed and didn't solve some of our key complaints. This Advisor Workstation fits the bill for us! We are able to analyze a client's current portfolio being held elsewhere as a sales tool, and use this data to balance their portfolio in the most advantageous way possible. "Morningstar Advisor Workstation for fund screening"
Morningstar Advisor Workstation has an enormous database of mutual funds, ETFs and annuities, that is easily searched and filtered. Focus in on actively managed products and active management in general - the data and graphics are to a large extent irrelevant to asset class oriented advisors. The product helps us meet our fiduciary obligation in screening investment products for best in class offerings. My favorite part of Morningstar is that I am able to export reports easily to Excel. For example, I am able to compare multiple mutual funds on their performance very easily and view them easily on Excel. Nothing about the interface is intuitive. Very confusing where to find certain features, even for people who work with it constantly. In addition, it is extremely slow and it goes down constantly. I recommend that you write down their support number somewhere because you'll be speaking with them constantly. I am using Morningstar Advisor Workstation to view the performance of the funds my company's financial advising clients are in and view their allocation easily. "Great advisor platform with customizable settings"
I can adapt the platform to my needs and customize the outputs. I don't like the customer service. I find that if I have a problem, it takes a while to get to a person for a solution, although the online help references are good. Do the free trial and get any questions answered by a support team member early in the process. I am able to print high quality client reports that have been well received. Morningstar is used widely throughout the financial industry as a leader in portfolio analytics. Monringstar can be limited in the information that it produces depending on the level of your subscription. Advisor Workstation is very valuable to anyone who needs portfolio analysis. It does not, however, provide accurate history if you actively trade portfolios. We solve the need for accurate and reliable analysis of stocks, bonds, mutual funds, and ETF's. "Morningstar, the premier fund holding provider"
Responsiveness and 24/7 data availability. Would like to see more Variable Annuities available for review. Able to access detailed data on nearly any mutual fund, exchange traded fund, and bond fund, as well as many variable annuities. "User friendly, wealth of knowledge"
M.A.W. helps draw up hypothetical solutions for my clients and delivers very detailed, professional looking solutions. Learning about Morningstar Advisor Workstation? * We monitor all Morningstar Advisor Workstation reviews to prevent fraudulent reviews and keep review quality high. We do not post reviews by company employees or direct competitors. Validated reviews require the user to submit a screenshot of the product containing their user ID, in order to verify a user is an actual user of the product. Hi there! Are you looking to implement a solution like Morningstar?